Church on Wednesday? I thought Church was only on Sunday. So what do you do at these meetings? Readings from the Bible and the Christian Science textbook are offered on a given topic. Afterwards, there is time for sharing gratitude and celebrating one another’s individual spiritual progress in demonstrating the law of God. The victory is so sweet when members work together in prayer and a healing testimony is given. We all learn and benefit from other people’s discoveries and healings. Anyone attending can offer their stories of healing, thoughts, or remarks on Christian Science. But don’t worry, you’re free to just listen if you don’t want to talk. A Wednesday testimony meeting may be likened to “the gate of the temple which is called Beautiful,” which many may approach discordantly, there to find themselves laying their burdens at the feet of Love and bearing away a healing. 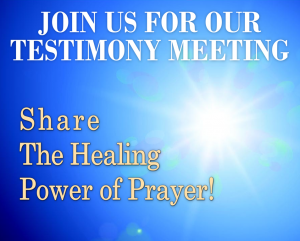 Do you want to hear from real people how they are healed using Christian Science? 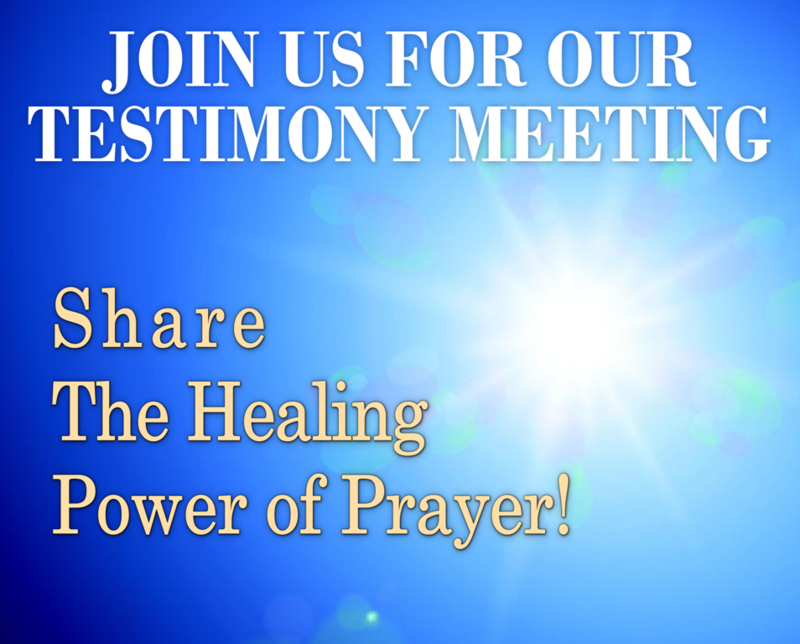 Come and experience the healing power of God’s Love!